Whether you're looking to improve a single room in your home or are seeking a more extensive overhaul, Inside & Out can help. As a general contractor specializing in home renovations, we have the tools, skill, and experience to help area homeowners with a wide variety of projects. 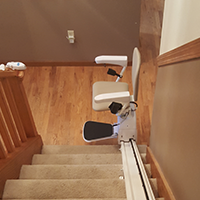 We are a CAPS-certified Aging in Place contractor who specializes in optimizing accessibility through design and remodeling. Let us make your home easy to live in, as well as easy to look at. Love to cook? Looking for a way to make your kitchen more functional and attractive? No matter your motivation for wanting to redo your kitchen, we've got plenty of options for you. 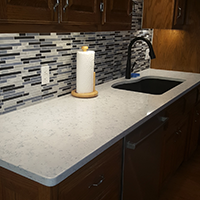 At Inside & Out Building & Remodeling LLC, we offer quality kitchen renovation services for homeowners in Springfield, MO. 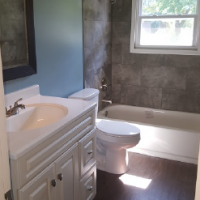 Whether you're looking for more accessibility, or just in the mood for a new look, Inside & Out Building and Remodeling can help design and craft the bathroom you've been wanting. We work with you to develop a space that you'll love at an affordable cost. The Closet is one of your home's most overlooked rooms, and yet it doesn't have to be. At Inside & Out Building and Remodeling we pride ourselves on making the most out of any space. 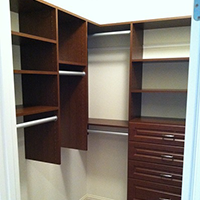 We can redesign your shelving and storage for efficiency and accessibility. 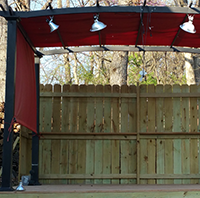 Thinking about getting a deck built? Perhaps you have a deck already that just needs repair. If you're considering revamping your outdoor experience Inside & Out can work with you to create a totally unique addition to your home.